There are at least 20 launch vehicles under development around the world designed to launch small satellite payloads weighing up to 1,000 kg (2,205 lb). That was the conclusion of a recent survey by Carlos Niederstrasser and Warren Frick of Orbital ATK. They presented their results in a paper titled, “Small Launch Vehicles – A 2015 State of the Industry Survey,” during the Smallsat 2015 conference in Utah last month. The authors identified active launcher programs according to a set of criteria. They did not attempt to assess the viability of any of the rockets being developed. And there may be some projects they missed. The tables below are adapted from the paper. I’ve combined several of their tables into single ones. I’ve also made some minor changes due to some developments that have occurred since the paper was written. For example, Virgin Galactic has increased the payload for LauncherOne. And the Kodiak Launch Complex has been renamed as the Pacific Spaceport Complex — Alaska. As shown, the launch vehicles cover quite a range of orbits and payloads, ranging from 4 kg (8.8 lb) to 760 kg (1,676 lb). Most of the vehicles are being developed by small startups, although you will notice the presence of larger companies such as Orbital ATK, which has two active launch vehicles, and Lockheed Martin, which is upgrading the older Athena rocket family. Another aerospace giant, Boeing, is developing its ALASA launch vehicle under a DARPA contract. Vention’s smaller SALVO air-launched rocket also was developed with defense funding under the ALASA program. The majority of the launch vehicles are American; in two case, there is U.S. participation with partners in New Zealand and Romania. Spain, Switzerland, Russia and Canada are also represented. The table below shows the different launch methods and locations used for the launch vehicles. Ten of the vehicles use some form of air launch, including two using reusable suborbital system and a third using a high-altitude balloon. The rest are launched from the ground. As mentioned, Virgin Galactic recently increased the payload capacity to 200 kg (441 lb) for sun synchronous orbit and 400+ kg (882+ lb) for LEO. 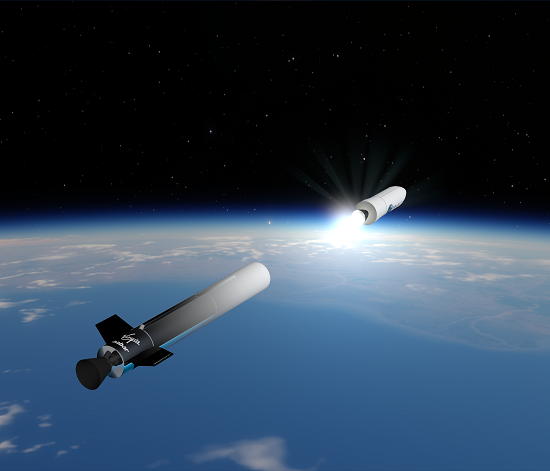 This puts the company in direct competition with Firefly Space Systems, which is advertising a similar payload range for its ground-based launcher. Firefly is run by Tom Markusic, who used to Virgin Galactic’s vice president of propulsion. Not sure what the criteria was for their selection, but another one which I have been following is PLD space, http://pldspace.com/. They seem to be funded and are just starting engine testing. You’ll find most updates on their facebook or twitter. Thank you Doug, that is a very interesting and a valid information, even if I am sure that the is not complete list. Sounds to me like there will be too many launch providers for demand. It will still be cheaper to launch your small satellite as a co-passenger on a larger rocket, so long as you don’t need a specific orbit. It is likely that consolidation and competition will narrow the field over time to maybe half a dozen competitors or less. Hopefully these will be the strongest companies with the best services. I wonder if someone like Spacex would offer a launch for smallsats / cubesats on say an annual basis. So do something like “We’re going to launch to SSO in mid 2019, all the small sat’s that want to go to SSO, let us know”. Then the sat owners would get the benefit of bulk purchase. This kind of approach would really hurt these small rocket manufacturers. On the other hand, these small rocket manufacturers, may just be using these small rockets as a stepping stone to bigger things, like Spacex did with the Falcon 1. As demand for space launch increases, we should find that rockets get bigger and payloads get bigger. So I would expect that if satellites are shrinking, that they will start being bundled together in increasingly large numbers. This might even be a job for a tug. Launch a load of small sats into LEO on some sort of carrier, and then tug the carrier to different orbits to drop off the sats where required. That kind of technology would kill small sat launchers rapidly. I am sure that many of them will fail. There’s also a pair of Chinese vehicles; Kuaizhou/FT-1, being offered for commercial launches by CASIC and which has already flown, and CZ-11, which is likely to be offered commercially by China Great Wall and is due to fly in a few hours. Aeronautics- now ARCA Space Corporation), and some of the Romanian stories raise serious concerns about ARCA and its product’s technical capability. I agree with you, ever since the original X-Prize days, ARCA has delivered not much beyond publicity stunts. They seem to be capable of some impressive composite work, but there isn’t really any serious rocketry to be found, as most stuff they build looks like it is for show only and not operational. Notice the complete lack on any credible hotfire pictures/videos. A few years ago people (even including armchair rocket scientists like myself) have debated with Dumitru Popescu online for days, trying to convince him that his “pendulum rocket” scheme will not work, but he just would not listen. I don’t know if anything has changed since then. There is the brazilian vehicle VLM – Veículo Lançador de Microssatélite but its development is delayed. The Department of Economic Development of New Mexico will contribute $ 500,000 to build the new hangar and production space of 14,000 sq. ft. The initial City LEDA support for locating in Las Cruces is approximately $60,000, and includes waiver of first year rent at the 8960 Zia Blvd. facility for office and showroom space, and assistance in the first year’s rent of an assembly facility at the airport. The state will provide assistance for future expansion. ARCA will add 100 jobs in the process. $ 1.2 million was allocated for investment to start the business. In addition New Mexico has one of the most generous training incentive programs in the country. The Job Training Incentive Program (JTIP) funds classroom and on-the-job training for newly-created jobs in expanding or relocating businesses for up to 6 months. The program reimburses 50-75% of employee wages. Custom training at a New Mexico public educational institution may also be covered. ARCA will get all this extra money from New Mexico. I agree that there’s a high probability of a shakeout happening within 10 years. There just doesn’t seem to be enough market to support that many launch providers. This might offer some interesting possibilities for some of these companies to combine the best aspects of their technology. For example, Firefly Space Systems is developing a rocket with an aerospike engine. At the same time, Rocket Lab’s Electron booster is implementing novel electric propellant pumps instead of expensive turbopumps. It might be possible to combine the two technologies to create a lower-cost, more efficient booster than either of their projects separately. There is no credible evidence that a HAAS rocket was launched in 2009. Here are photos of the balloon that carried a questionable rocket. Here is a discussion of the ARCA attempt. It IS interesting to see how many companies are jumping on this. Most will never make it, BUT, if even if say half a dozen do, the competition will bring the price down lower. We are very likely going to see a new renascence on space adventure. Thanks. I haven’t been able to find anything on the Long March 11. Do you have any stats on payload, etc. Found another one today: SpaceLS. A company out of the UK. It’s hard to tell how much money they have backing them. The reason is that it is actually an ICBM that is being pressed into use as a launcher. Таймыр – is a URM (Universial Launch Modules) structure, there’s no only 9kg paylod to LEO type. Don’t forget to say, that it can carry 9 to 150 kg payload to LEO in 5 models. *Also, if there’s launchers, that can carry up to 700kg+ payload to LEO, so – where is such vessels as “Shavit”, “Saphir-2”, american’s wing-rocket launcher “Pegasus”, russian convertionised ICBM’s? They are all now in use! Bad post..
‘About a ton to LEO maybe’ is the best I’ve got right now, we can probably expect a release after it flies like we got for CZ-6 last week. Only a few hours now. going to be fun to watch.. can’t wait to see it happen for space based destinations, space based transportation. earth to LEO transportation… et cetera..
We’ve had releases from the motor manufacturer that the first stage motor for this project is the largest ever done in China, so it doesn’t seem to be from an announced missile. There is a chance one’ll show up in a later announcement though, like how the Kuaizhou 1st+2nd stages showed up as DF-26. There’s VLM and VLS. I was thinking of mentioning them, but the schedules keep slipping. It’s never clear if there’s an actual commitment to building them and what the schedules are for either one. I think it is one of their new sub missiles, but I have forgotten why I think that. Unfortunally, Mr. Messier, these projects are under Planalto’s policy and Brazilian goverment is a complete disaster! It’s bolivarian, like Venezuela. They are leaving aside PEB (Brazilian Spacial Program) since they took power, 13 years ago…. Despite the IAE’s efforts (IAE is a Institute under Air Force command), these programs are terrible delayed. The current estimate is that the first VLM flight to take place in 2018. But, it is a doubt, indeed. At the NEWSPACE conference in San Jose last month, one statement that stood out during the on stage discussions was a response to – is there still space in newspace for new startups. Yes but not with new launch vehicles was emphasized by one. That might have been self-serving. Given this list, probably not. Hey. There are six claiming first launch between now and EOY 2016. How many do you expect we’ll see happen? thanks for doing the search, I wasn’t sure where that discussion happened after all that time. Bloostar is bizarre. That toroidal stage structure makes an inefficient use of mass while being more difficult to manufacture. With the pancake-shaped vehicle, gimbaling is going to be really ineffective, so the main means of control would be differential throttling, which is likely to be slower and less reliable (poor throttle response being what made the last Falcon 9 landing attempt fail, and that wasn’t trying to balance multiple engines). And I really wonder about the added potential for propellant slosh. Apart from the instability it can add (remember Falcon 1 flight 2? ), when the propellant levels get low, they’re going to have a hard time feeding it into those engines, and even a low level left remaining in those toroidal tanks is going to amount to a relatively large fraction of the capacity. Another; Argentina’s Tronador II (200kg to 600km polar LEO), and the beefed-up Tronador III (750kg to 600km PLEO). Has seen some slippage, but is at the point of flying smaller demonstrators, unlike Brazil’s effort. Full-scale test planned for next year. Hah. I hadn’t realized it was so questionable whether their test flights worked at all. I’d assumed their apparent success was just a combination of aerodynamic stabilization and a burn too short to show the instability of the vehicle. There’s also the rather optimistically named Spacefleet, also from the UK. Main page hasn’t been updated for a year but they post regular updates on their facebook page. This is not a bad post. a) Shavit: due to launch site restrictions, it is currently of pretty much zero use for the commercial market. This list also seems to be missing Bagaveev http://bagaveev.com/ which has Silicon Valley funding I believe. Mr. Messier, may you update the complete list in some days? Thank you! Our criteria for selection was fairly simple. They had to 1) Have a stated goal of developing a commercial LV 2) Have had some activity in the last three years, 3) Nothing public indicating they were cancelled or stopped working 4) the development is for an entire launch vehicle (not just pathfinder tech) and 5) be aiming to put up less than 1000 kg to “LEO” (however they defined it). Thank you for the link, my immediate glance at it is that PLD qualifies for the list. I will look into it in more detail and add them, if appropriate. Thank you for the information. I will do some more research into this project. Do you know if these will be commercial vehicles, or solely for use by the Argentinian government? to “LEO” (however they defined it). When a entrant was part of a family of vehicles, we only included the smallest one. That was the case with Таймы. The thrust of the paper was to focus on small launch vehicles, which is why we did this. We did include Pegasus (it is made by our company, after all)! Shavit and Saphir-2, to the best of our knowledge are not available commercially, which is why we didn’t include them. If you have information to the contrary, we would welcome that so we can update the list. It wasn’t clear to me that these rockets were planned to be available commercially. Delayed development is not an issue – many of the other entrants have seen delays, and likely will never fly. Do you have any further information on the current status of the VLM and whether it will be sold commercially or just used by the government of Brazil? Thank you, I wasn’t even aware of this vehicle. I will have to do some more research, and see if the recent launch brings up any additional information. I am sure we did! Please feel free to contact me if you have additional vehicles we should include. Thanks. I will have to do some more research to see if we should add them to the list (or at least our watch list). No idea, sorry. The information about the program is vary scanty, at least in english. We would like to be added to list. Douglas, if you require any more information please feel to free to contact us. Carlos, were you able to find launch costs or $/kg for PLD?